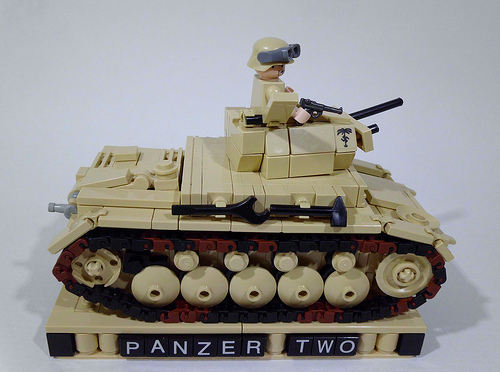 PA (Semper Fi) has created this wonderful WW2 Panzer II complete with desert camouflage. It’s a fitting tribute to the fighting in Africa, which is often ignored by builders who tend to favour Europe as their battleground. View it on Flickr.